This design is based off of my Shadowbox Pendants. A friend of mine really wanted the pendant style as earrings, so here they are. Like the pendants, the earrings are hollow forms and hand-hammered. They have some leeway to swing and dangle from the earring hooks. 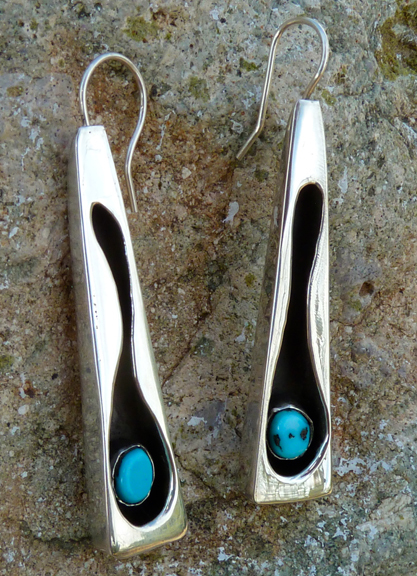 The earrings measure 1 and 3/4 inches long and 1/4 inch deep. At their widest, they are one centimeter. This pair was made to order. If you would like a similar pair, contact matagisorensen@gmail.com.